The WIRT collective is part of an international, grassroots network of groups and individuals who take direct action to confront the root causes of climate change and to promote local, community-based solutions to the climate crisis. 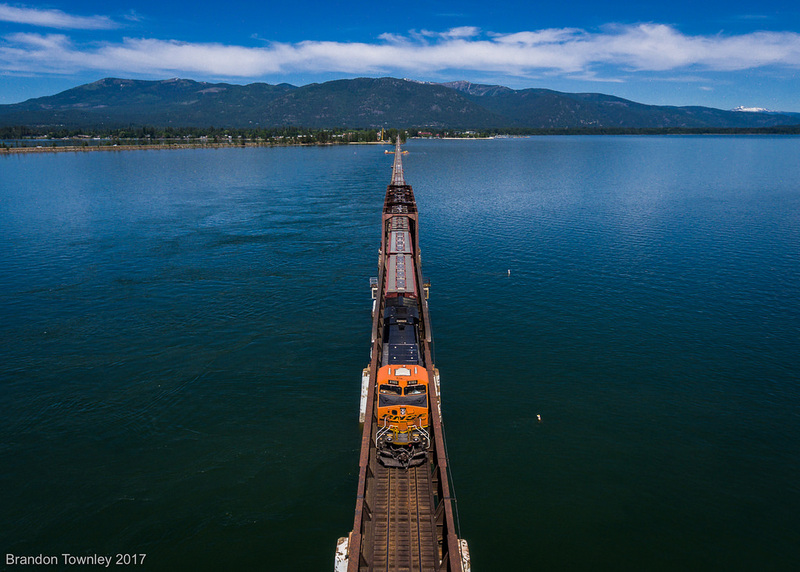 Soon after Wild Idaho Rising Tide (WIRT) filed our opening brief challenging an Idaho Department of Lands/Land Board encroachment permit for Burlington Northern Santa Fe (BNSF) Railway’s Sandpoint Junction Connector project, U.S. Coast Guard (USCG) District 13 bridge program chief Steven Fischer released public notices on December 18, 2018, acknowledging that the USCG has received an application from BNSF, which requests approval of proposed construction locations and plans for second, parallel bridges across Sand Creek and almost one mile over Lake Pend Oreille, both navigable waterways of the United States [1-3]. The lead, federal agency regulating this project is currently asking for public comments exclusively on the “reasonable needs of navigation” potentially affected by the new railroad bridges, encouraging boaters, maritime stakeholders, and the public to carefully review its notice and bridge expansion project summary, plans, diagrams, maps, and locations [4-6]. Please view the searchable, PDF copies of official, signed versions of BNSF applications, as well as the USCG bridge permit application guide and WIRT’s draft comment suggestions describing information missing from the Coast Guard-provided documents and navigation impacted by the proposed, BNSF bridges [7-9]. In your comments, specifically address the compromised safety of navigation around bridge structures and explain other possible, bridge effects on navigation in “sufficient detail to establish a clear understanding of reasons for support of, or opposition to, the proposed work.” Express your views on or before January 17, 2019, by writing, calling, and sending mail to Commander, Thirteenth Coast Guard District, 915 Second Avenue, Room 3510, Seattle, WA 98174-1067, email to D13-PF-D13BRIDGES@uscg.mil, and/or a call to 206-220-7282. Request inclusion of your comments in the public record for this winter-inappropriate, navigation comment period offering limited, public information and for the forthcoming environmental assessment or more community-preferred and scientifically rigorous, draft environmental impact statement for the BNSF Sandpoint Junction Connector project. The Coast Guard has not yet completed this separate, environmental review document nor published public and Federal Register notices announcing its availability for review. 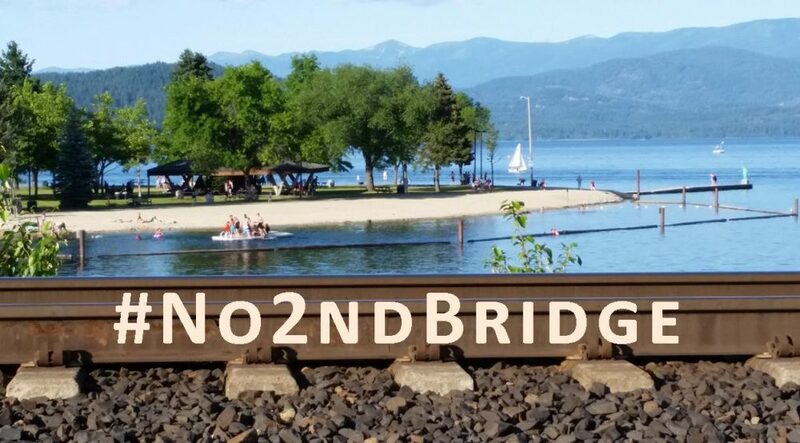 WIRT and regional allies will alert you when the USCG releases it, so you can contribute further, effective comments on the socioeconomic and environmental factors and implications of this industrial invasion of the Pend Oreille watershed. The Wednesday, November 28, 2018, Climate Justice Forum radio program, produced by regional, climate activist collective Wild Idaho Rising Tide, features news and reflections on north Idaho railroad bridge litigation, a Columbia River tar sands train terminal, a national climate crisis report and teleconference, and U.S. military greenhouse gas emissions. We also share a conversation with Shelley Brock of Citizens Allied for Integrity and Accountability, about their federal lawsuit challenging Idaho oil and gas forced pooling processes, gas wells near the Payette River and Fruitland water plant, state to EPA transfer of waste injection well regulation, federal and state oil and gas leases and auctions, Alta Mesa production record and investment problems, and eastern Idaho fossil fuels development. Broadcast for seven years on progressive, volunteer, community station KRFP Radio Free Moscow, every Wednesday between 1:30 and 3 pm Pacific time, on-air at 90.3 FM and online, the show describes continent-wide resistance to fossil fuel projects, the root causes of climate change, thanks to the generous, anonymous listener who adopted program host Helen Yost as her KRFP DJ.